There have been deals lately on the A_>C powerline red cables, but they are USB 2.0, which is an old standard. Today the 3.0 version is on sale! Get em while you can! Nice! 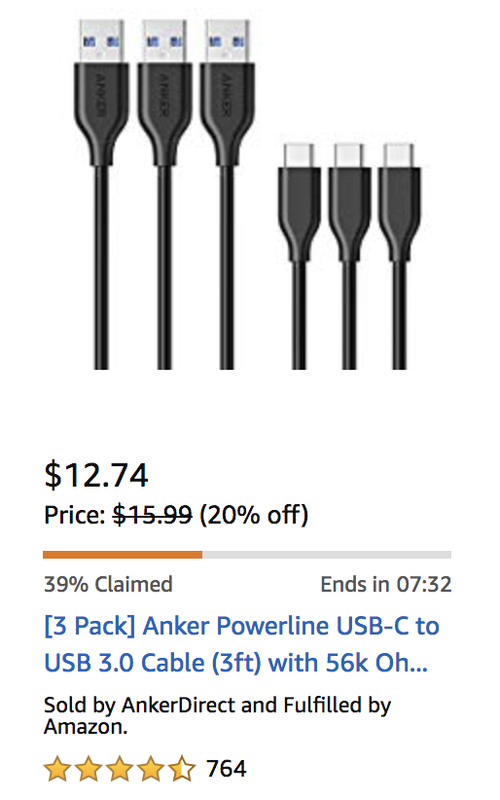 I wish they had a deal like this on lighting cables though.